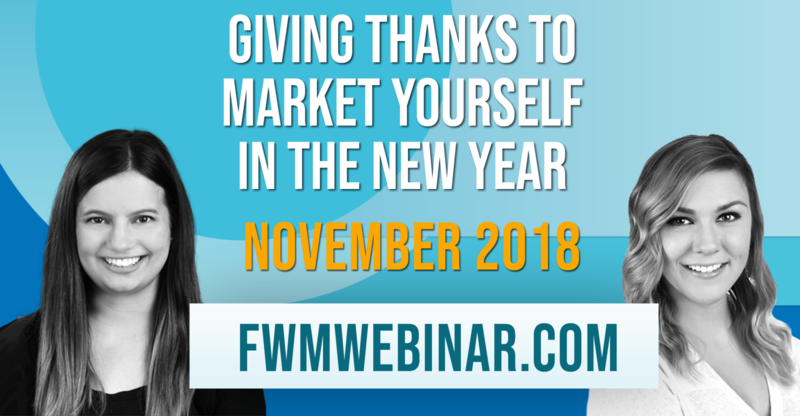 Giving Thanks to Market Yourself in the New Year Check out our November 2018 Monthly Marketing Webinar to learn about Giving Thanks to Market Yourself in the New Year. Prefer to listen to the podcast? Check it out here.